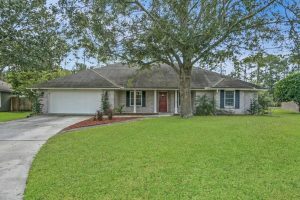 All Brick, 4 Bedroom, 2 Bath home, Split design, all tile, laminate flooring. Granite Counter tops, island in kitchen, Seperate Dinning room, eat in kitchen, and Kitchen Bar! Large rooms, beautiful outside. Newer roof, newer AC. 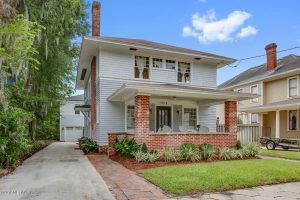 This 1916 Historic Beauty was lovingly renovated in 2011 w/ new Kitchen, Baths, Electrical, New & Added HVAC, & Plumbing-While maintaining its original hardwood flooring, walls, windows & charm ($70K+ in upgrades). The 2-car detached garage & 1 BR (could be 2)/2 BA apartment was newly constructed in 2012 ($87K+ in cost) & consistently rents for $1650/mo. The garage has access via driveway & rear alley. Main home features wood-burning fireplaces in LR & Master, basement storage/utility access (no flooding!). Garage has own w/d con for aprtmnt & is fully-insulated with hookup for HVAC if wanted.